8 YRS Yongkang Zhengyao Industry And Trade Co., Ltd. Sample charge is refundable when order is up to certain quantity. We have large production capacity, which can ensure fast delivery time even for large quantity. So you can just tell us the pantone color code you need. 3 YRS Taizhou Wansiqi Imp & Exp Co., Ltd.
5 YRS Zhejiang Youshide Plastic Co., Ltd.
Vycor Glass anti hot print logo custom gift 280ml/360ml/550ml Glass Water Bottle Product Details Name: Sports Water Bottle Item No: WBLZ1014 Description: Sports Water Bottle Material: Glass Item size : 180mm*58mm, 193mm*62mm, 245mm*65mm Master Box: 40*40*52cm Packing : 1pc+polybag+color box 60pcs/ctn Color Pink,Green,Black,Army Green,Yellow N.W/G. 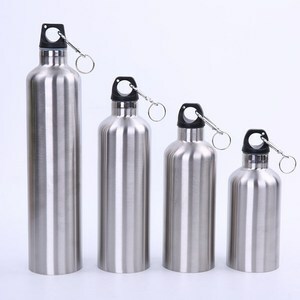 W(ctn ) : 25KG/26KG Capacity : 280ml/360ml/420ml/550ml Lead time 5-25 days MOQ 60pcs TOPSKY TECHNOLOGY LIMITED is a professional sourcing company specialize in Promotional Gifts,our product range included beauty care products,personal health products,electrics products,water bottles and so on,we offer professional OEM logo brand service and our employees are committed to produce high quality product that meet our diverse customers demands. Most of the products are exported to all over the world and well received by customers. 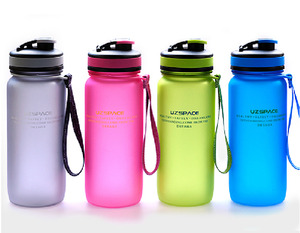 1 YRS Shenzhen Yingdan Trading Co., Ltd.
Alibaba.com offers 265,874 sports water bottle products. About 70% of these are water bottles, 1% are bottles, and 1% are football & soccer. 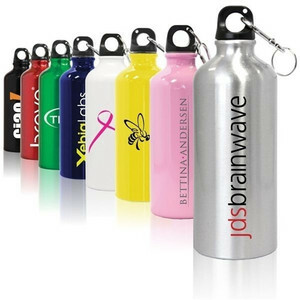 A wide variety of sports water bottle options are available to you, such as fda, lfgb, and ce / eu. You can also choose from eco-friendly, stocked. As well as from metal, plastic, and silicone. 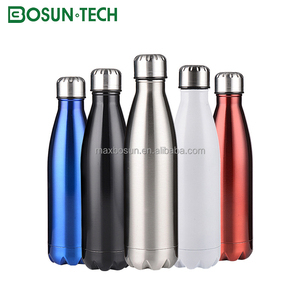 And whether sports water bottle is carbon steel, aluminum, or aluminum alloy. 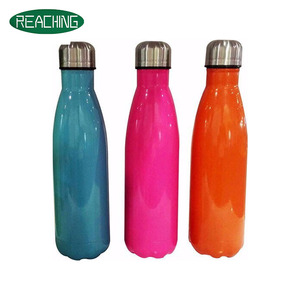 There are 265,874 sports water bottle suppliers, mainly located in Asia. The top supplying country is China (Mainland), which supply 100% of sports water bottle respectively. 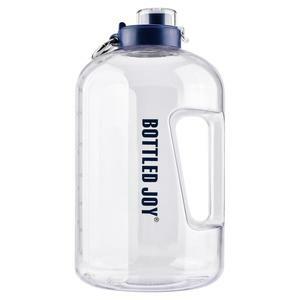 Sports water bottle products are most popular in North America, Western Europe, and South America. You can ensure product safety by selecting from certified suppliers, including 51,330 with ISO9001, 15,943 with BSCI, and 15,425 with Other certification.